Odyssey 1 offers group rates and field trip options for large group gatherings as well as for day cares and other groups of children. Bring the children in for a couple of hours of fun and excitement! We offer the below group rates for those with advanced reservations only. For those groups and day cares that come in to play on Monday-Friday from 10am to 2pm with 12 or more children the play rate per child is $6.75. Licensed day cares that choose play only; the rate is $6.75 per child. For this offer, there must be 12 or more children and play must occur Monday-Friday before 2pm. We would love to assist you in determining the best date and time for your group gathering. Please call us so we can help arrange for play time for the children in your care. 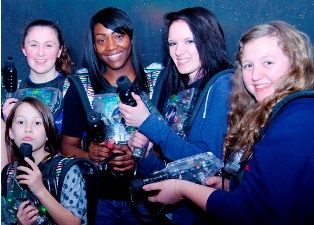 If you are interested in scheduling a play time for your group, please call us today at Odyssey 1.